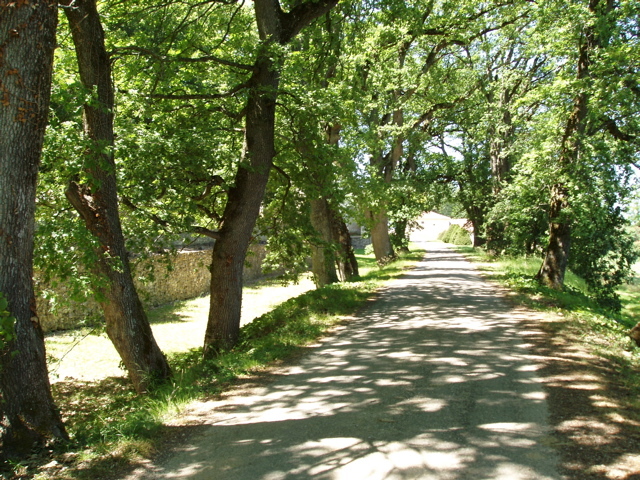 Au Chicot is to be found in the north of the Gers, right in the centre of the Armagnac producing area. A delightful home, it sits happily at the head of a plateau, among sunflowers, cornfields and vineyards. Below it, the ground drops away gently, yielding far-reaching panoramas of peaceful hills and valleys, dotted by farms and hamlets, and the village of Cassaigne, 4 kms distant. 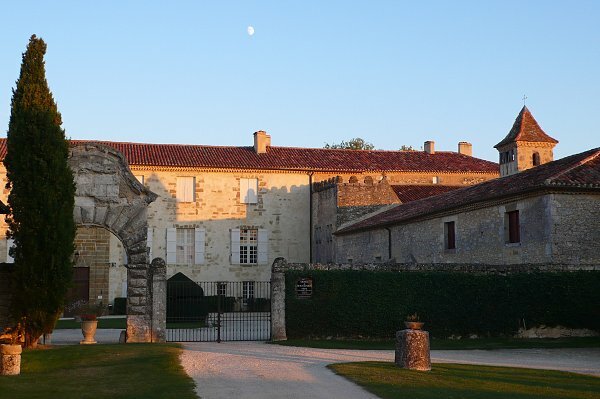 There are two neighbouring properties, and just a stroll away is the beautiful Armagnac chateau, le Busca-Maniban, regarded as one of the finest examples of 17C architecture in Gascony. 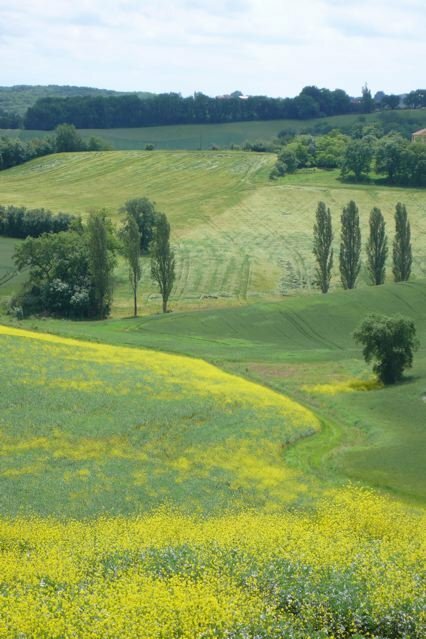 The exquisite, undulating, scenery of the Gers, together with its tiny, ancient 'bastide' (fortified) villages, has prompted comparisons with Italy's Tuscany region, though since all is on a smaller, less dramatic scale, its tourist industry is charmingly low key. There are plenty of attractions and activities to please young and old alike, but no queues of traffic - except on market and festival days perhaps - and local people are friendly and welcoming, even in the height of summer! Au Chicot is just 2 hours from the Atlantic beaches and the ski stations of the Pyrenees. The Gers is bordered to the north and east by the A62 motorway, (Agen exit 7), and by the A64 motorway (exits 10 Pau or 13 Tarbes) to the south. From Calais, the drive is around 9 � hrs, and from St Malo, 7 hrs, with Caen and Cherbourg about 8 to 8 � hour's drive. 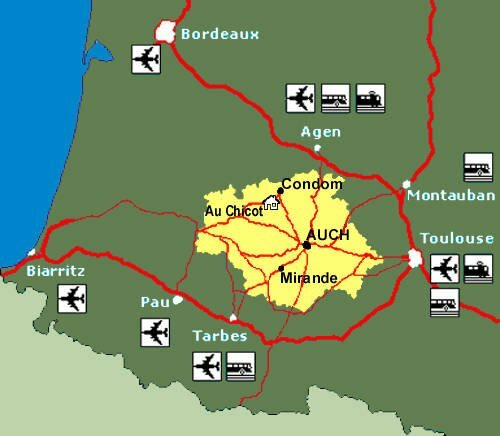 Nearest airports serving Au Chicot are Pau, Toulouse and Bordeaux, (all. 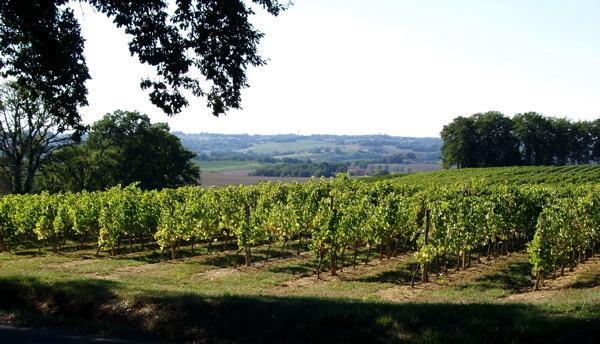 1 � - 2 hrs from London's airports), and Bergerac, Biarritz and Carcassonne, (2 � 2 � hrs). There are also excellent rail links from Paris via TGV to Agen (40 mins from Au Chicot,) changing at Bordeaux. 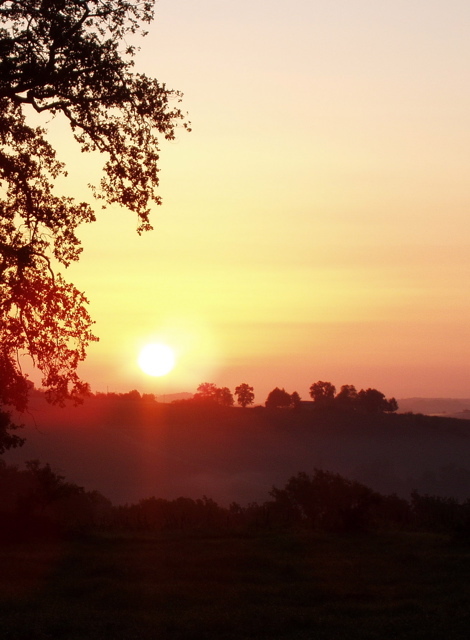 Many options, but without major roads or industry to blot the landscape or pollute the air, this is real France. Beauty,a rich heritage, lots and lots to do, great regional food and wine. A mustn't miss. To find out more about these, and other places of interest, click onto 'The Area' button.